A small taste of William Wilde book 4. It made me smile to write about these two. Rukh nodded and drew her into his arms. “What do you know of Jareth, Wren, Sinder, and Brin?”Jessira stiffened. The names caused her joy and pain in equal measure. “They’re our children,” Jessira told him. His words fell like a stone, and Jessira could only nod. Pain at what they’d lost stole her voice. After a moment, she managed to collect herself. “They were born without flesh and yet were mortal.” A tear leaked down her cheek. “They are only names until you remember their lives,” Jessira replied. August Newsletter/William Wilde Book 3 launch! William must summon his courage and return to Sinskrill. Great friends remain trapped on that terrible island, and he’s vowed to see them freed. But even with the aid of powerful allies, such as Rukh and Jessira, will his courage be enough against the terrible strength and magic of the Servitor? I saw a few movies over the past few months. First, The Incredibles 2, which was delightfully charming. All the characters are back, and their relationships remain and grow deeper. Family is still the key, but my favorite scene is likely Jack Jack’s encounter with a raccoon. Next, Avengers: Infinity War. It was mindless fun, and I enjoyed it, but I think part of my enjoyment was because I went in with low expectations. I still love the characters, but just once, I’d like to see them do something unexpected, like keep their cool until after the battle. I also saw Mission Impossible:Fallout. I don’t remember a whole lot from this movie, except that it was fun and frenetic. I liked it for than Avengers but less than The Incredibles 2. My favorite movie by far this summer, though, is one I saw on Netflix. Coco. I never gave this movie a chance when it was in the theaters because the trailers looked so dumb. But then my wife watched it, while I was reading Senlin Ascends (a fantastic book, btw). She had tears in her eyes at the end, so one day when I wasn’t doing anything, I watched it by myself. And I had tears in my eyes as well. It’s hard to describe why this movie is so good without ruining the plot, but it’s moving, funny, heartwarming without being syrupy, and grown-up in how it handles death, loss, and regret. It’s easily in my top 3 Pixar movies of all time, which is saying something given that studio’s track record. A final note, and this one is personal. My father passed away last week on July 28th. He died after a long struggle, and his illnesses had been many years in the making. His suffering sucked away the joy out of most things. While I published my books, was happy with the success I had, often in the back of my head, I wished my father could have enjoyed it with me. He would have been so proud. In the five years of his illness, it was writing that was a large part of my salvation. The act of creation, of storytelling while my dad slowly withered was a kind of blessing. However, while I tried to keep an upbeat tone online and in social media, that positivity wasn’t how I was generally feeling. I was grieving and am still grieving, and with his passing, some things have come into focus. I’ve finished book 4 of William Wilde. It only needs about 5-6 weeks of edits, and it’s done. Then comes book 5, and I’m not sure if I’ll get to that right away. There’s a deeper story I may want to tell first. It’s the story of my immigrant family and how we came to be in America. It’s one I’ve wanted to tell for years, and if I don’t start it now, I may not be able to tell it later since others in my family are also ill.
We’ll see. If that happens, it isn’t to say I’ll leave William Wilde unfinished. I know how that story ends, and I promise to finish it as I imagined and as I deserved, and it won’t be years from now. But I also ask for patience before I jump straight to it. I need some time to reflect on things and then decide what to do next. Trailers from San Diego Comic Con! I can’t wait to see this one. Now, I have to go back and watch Split first. I enjoyed the first Fantastic Beasts a lot more than I thought I would. Jason Mamoa looks great as Aquaman, and I liked him in Justice League. I’m still kinda meh about this movie though. 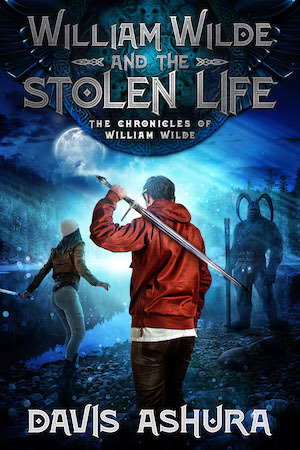 Today’s Launch Day for William Wilde and the Stolen Life! Get your copy of William Wilde and the Stolen Life at your local Amazon and Audible stores! Having survived the deadly Kohl Obsidian, William Wilde had hoped his life would settle down; that he’d finish his senior year of high school and have no further adventures. But life isn’t so simple for a potential magus, especially one who’s overcome as dangerous an enemy as Kohl. Instead, William has unwittingly earned the raptor gaze of even greater foes. One is someone he thought he could implicitly trust while others are even more terrifying. And all are from the island of Sinskrill. They are mahavans, powerful magic-users bent on humanity’s enslavement. They seek to capture William and bind him in perpetual servitude upon Sinskrill. William finds himself trapped amongst people for whom deceit and pain are simple coins to be traded, and his best hope for survival might lie with those he thought to be his mortal enemies. And for those looking for more Rukh and Jessira, you’ll find it here. A few of the characters from The Castes and the OutCastes, manage to make it over to Earth. My first real newsletter! I’m trying something new, and I can’t promise I’ll keep doing it. Here goes . . .
And for those wanting more Rukh and Jessira, you’ll find it in this book and the rest of the series. That’s right. Some of the characters from The Castes and the OutCastes, which takes place on the world of Arisa, cross over to Earth. Rukh and Jessira made a limited appearance in book 1, William Wilde and the Necrosed, but they become a more integral part of the story as the series unfolds. Nevertheless, the bulk of what happens is about William Wilde. I went to ConCarolinas and met a number of wonderful people, including John Hartness, publisher of Falstaff Books and all around generous guy, Drew Hayes, author of a series of highly popular superhero novels, Chris Jackson, who once wrote a book in one month while docked in St. Lucia, David Coe, who was a favorite of mine when I was still in the dream stages of wanting to become a writer, and Faith Hunter, who was kind to a newbie. Also, for anyone who might in the Atlanta area over Labor Day, I’ll be attending DragonCon this year as an Attending Pro, so you might see me on some panels. Oh, yes. I’m also putting the finishing touches on William Wilde and the Sons of Deceit before it goes out to the editor. It’s the 4th book in the series and book 3, William Wilde and the Unusual Suspects, is already complete and recorded by Nick Podehl. WHAT DID I ENJOY READING? With each newsletter, I’m going to do my best to include an item by a fantasy I’ve enjoyed reading. This month, it’s Steve Kelliher’s Landkist Saga. Steve is a former MMA fighter, and so, of course, his battle scenes are absolutely vivid. However, that descriptive skill carries over to his other scenes. He sets the scene so well, and his characters live and breathe. The turmoil they face, the genocide that threatens them—that’s the heart of the book. It’s a dark, mysterious world with a sense of history and filled with conflicted people who struggle to do what’s right, with no one entirely sure what that means. Me and a bunch of other authors, like Michael J. Sullivan, Phil Tucker, David Estes, David Benem, K.S. Villoso, Steve Kelliher, Quenby Olson, and . . . well, you get the drift. We’ve got a giant MayDaySale on many of our books that we’re running from May 1st through May 5th. 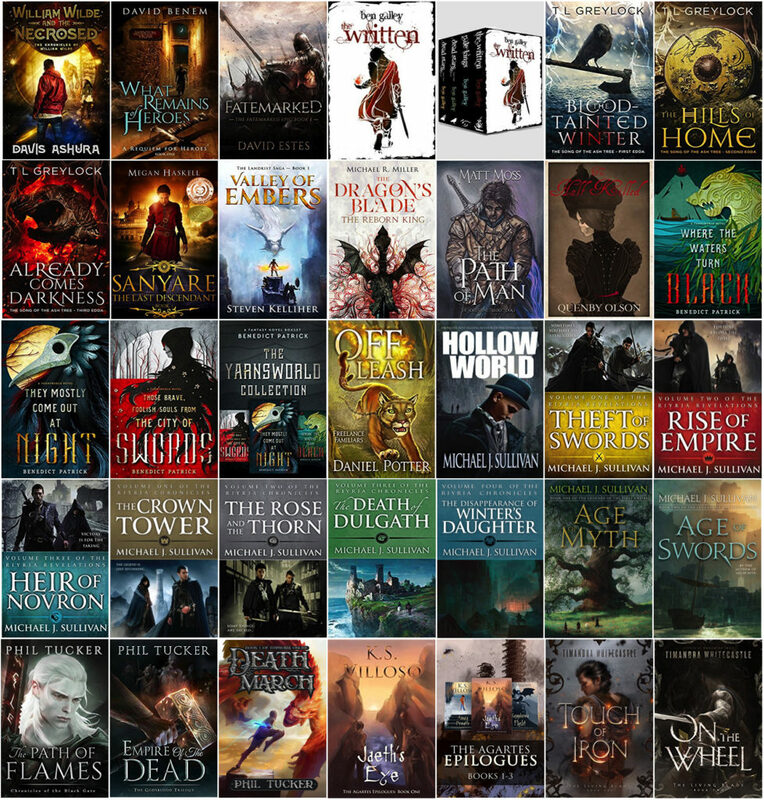 It’s all fantasy, and the books run the gamut from grimdark to romantic fantasy. My contribution, book 1 of William Wilde, William Wilde and the Necrosed, is already discounted to $0.99. Here’s the link to the entire sale. I finished watching Lost in Space, the reboot on Netflix. Conflicted on this one. I liked the first six episodes, but then the supposed best and brightest of Earth, especially the Robinson family, made progressively stupider decisions over and over again, and I enjoyed it less and less. Wish I could have liked it more. 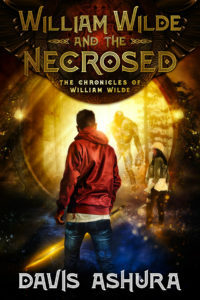 William Wilde and the Necrosed Launched today! The story is set in the 1980s and is a classic coming of age story. All William Wilde wants is to get through his final year of high school, survive the terrible cafeteria food, and avoid the bullies. But then comes a beautiful, new girl who seems to know too much about him; friends who’ve all along lied to him, and magic that he never wanted. Toss in a zombie-like Terminator out to kill William, and you have something like Stranger Things mixed with Percy Jackson. As with The Castes and the OutCastes, Nick Podehl does the narration.